For this project our class was assigned to create a video response to David Bowie’s music video “Space Oddity”. Our video had to include aspects of futuristic sound and space. I did not really know that much about Bowie at first. I knew some of his songs, but that’s pretty much a given with his popularity. I spent a decent amount of time looking at some of his video for inspiration. My original vision for this project was to work solely in black/white and grayscale. I managed to stick with that idea for the first 45 seconds. I thought that if I kept my color palette simple it would be easier to plan down the road. 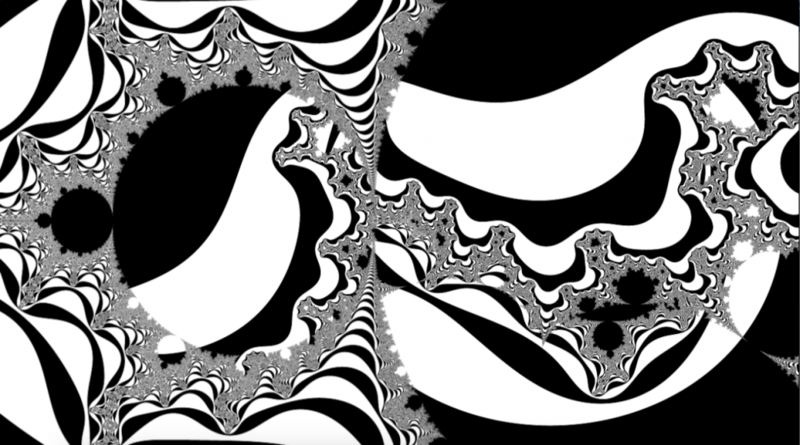 I also had some black and white fractals already made and thought they could be put to good use in this project. As it turns out, being to limited in my use of color is more troublesome than having too many colors to choose from. As I got deeper into the project I could not help but add bright colors against the black background I ended up with. I always liked color schemes that involved black and another bright color. The way it can be set next to another color and almost absorb it has always been interesting to me. I was also planning to use mostly fractals but as I went further along I realized I did not have much of a narrative with them. So I had to come up with a new idea and go back to square one. I searched through images dealing with space in general. This is when I came across a picture of a common science project dealing with displaying our solar system. I then realized that while looking through more detailed representations of space (diagrams, illustrations, etc. ), I nearly missed an opportunity to explore something more simple. The simple shapes of the rings and painted stirofoam balls were brimming with possibility. 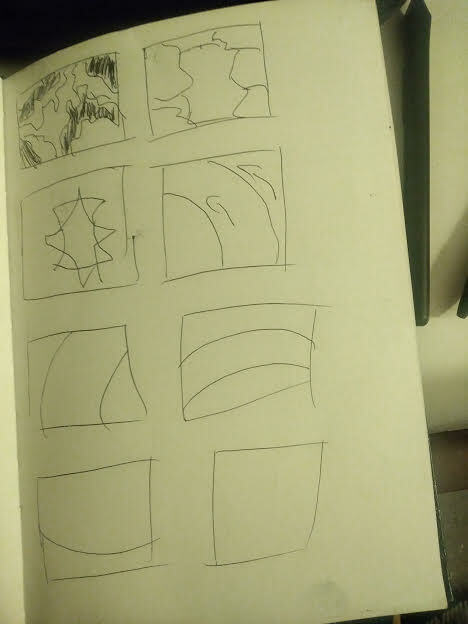 Instead of being confined to the more complicated forms of space I was presented with, I could start with these simple shapes and make them into something new. 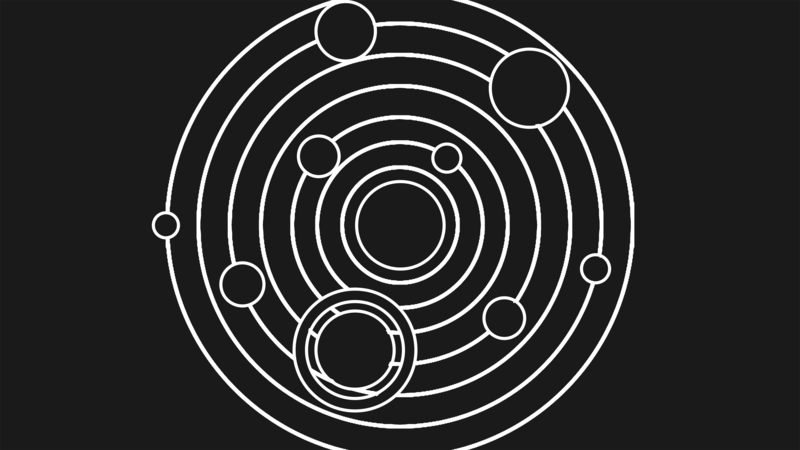 I decided to limit my search solely to solar system displays. I was not planning on copying the display exactly but I did want to understand the general structure. However the graphics I designed did end up looking for the most part like the models minus one or two solar rings. Starting the song off by slowly entering a dark space. Then when it is pitch black reveal the solar system on a tower-like display. 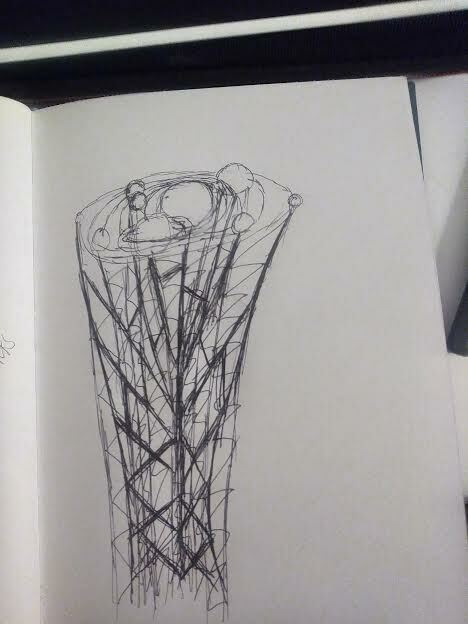 One of my graphic designs for the solar system was a display on top of a tower like structure. The idea of for this originally sprung from wanting to do a pan up shot to the planets. “Why not have them towering over?” I thought. 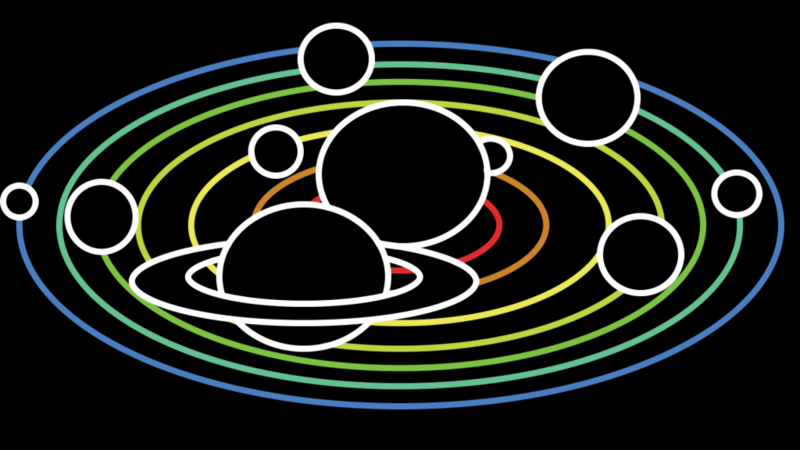 I started out with black and white graphics, then jumped into slight color with the rings around the solar system. I chose a basic color ranged from red to blue so I could keep it simple. During the planning period I did consider using literally all the basic colors of the rainbow. However, I decided against it since it seemed to make the video too busy. I originally planned to implement some actual animated cells in my work but I found that using the basic tools in After Effects fit better with the overall futuristic style of the video. Ultimately my video ended up looking a bit more simple design wise. I think the simplicity helps it in a way. The simple shape gave me more room to experiment without worry of over complicating things or making the video too busy. Given how many times I had to rework a scene or two I’m grateful for that.